Mark Rothko insisted that his contemplative art was the stuff of high drama. Why? 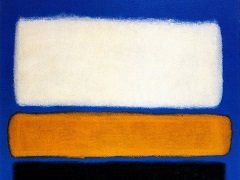 Rothko liked to claim for his painting aesthetic qualities which cannot be seen in the work. He could talk a blue steak about "drama," for instance. He loved Aeschylus' tragedies and Nietzsche's conception of the origin of tragedy, and because the act of painting put high drama in his life, he insisted that people see his paintings, including the black paintings, as dramatic. 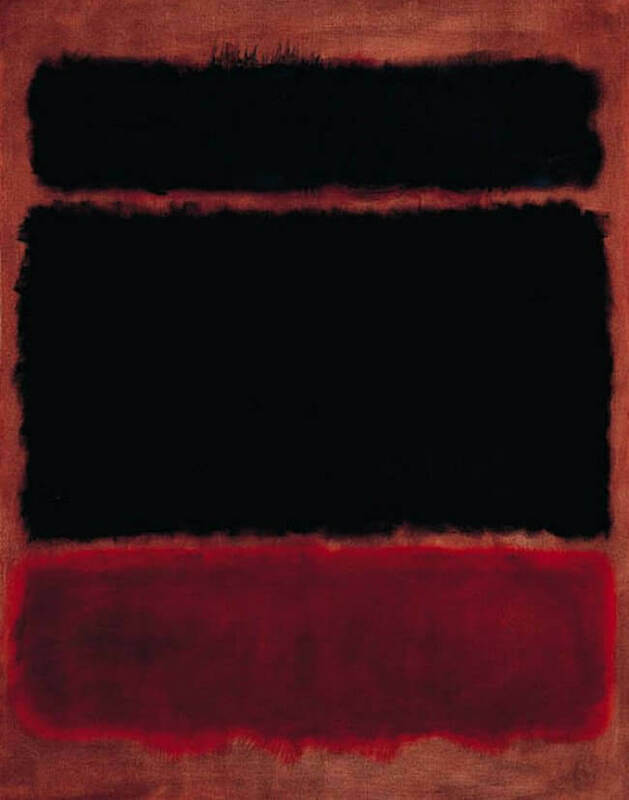 To Mark Rothko, Red is not really about art. In fact, it is slightly unsure at some points about art, as when Molina's Rothko delivers a tirade about Caravaggio being forced to contribute altarpieces to a totally dark chapel: Rothko had no interest in Caravaggio, who in any case gloried in making his figures bloom out of the surrounding obscurity. Red's real theme is the abrasion between generations of artists, Rothko versus the older Cubists and Surrealists, his young assistant versus himself, and what it adds to this hoary theme is a terrific feel for the way that formerly crucial ideas and bitter conflicts between aesthetic creeds, perceived in retrospect, begin to seem farcical, even ridiculous.